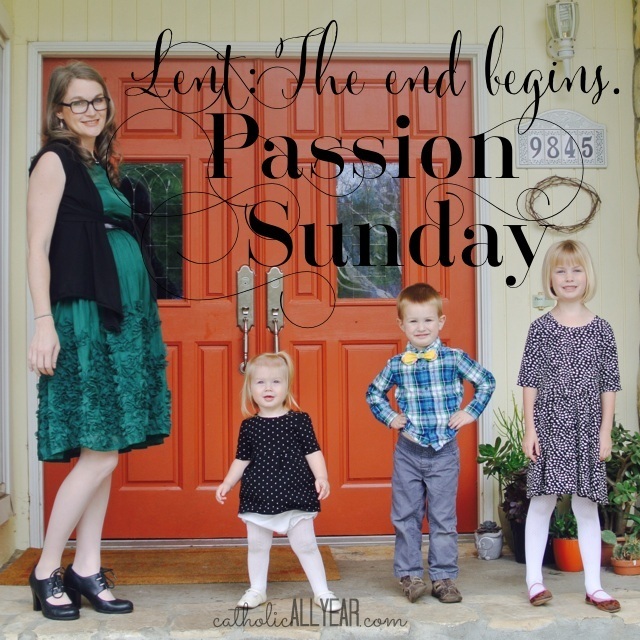 Today is the fifth Sunday of Lent, traditionally known as Passion Sunday. This is the day on which images and statues are often veiled in churches. We like to do this in our home as well. 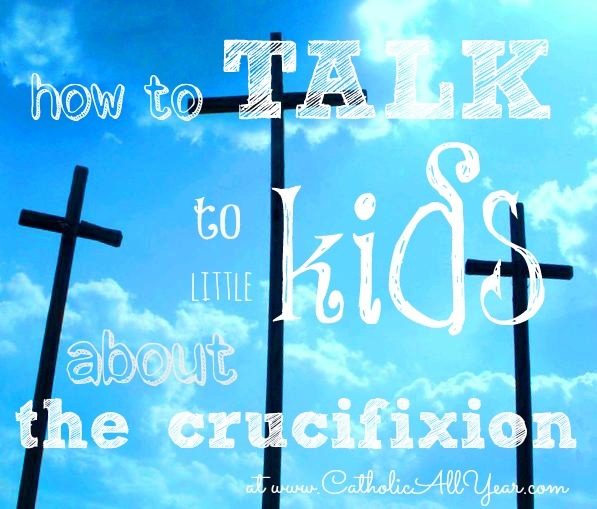 (I used think we were supposed to do this for all of Lent, but have recently been corrected. You learn something new everyday!) Basically, we’re supposed to be reminded to buckle down and Lent it up for these next two weeks. 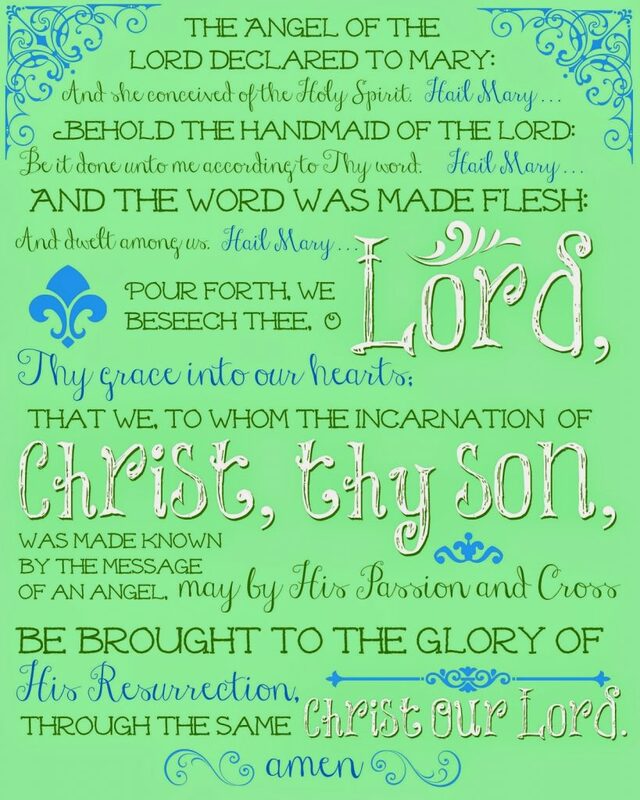 March 25th, Wednesday, is the Annunciation! It’s a solemnity, so celebrating is mandatory. But then, RIGHT BACK TO LENT. just like the people lining the streets of Jerusalem did. But those same people, *WE* turn on Jesus just days later, and start demanding that he be crucified. 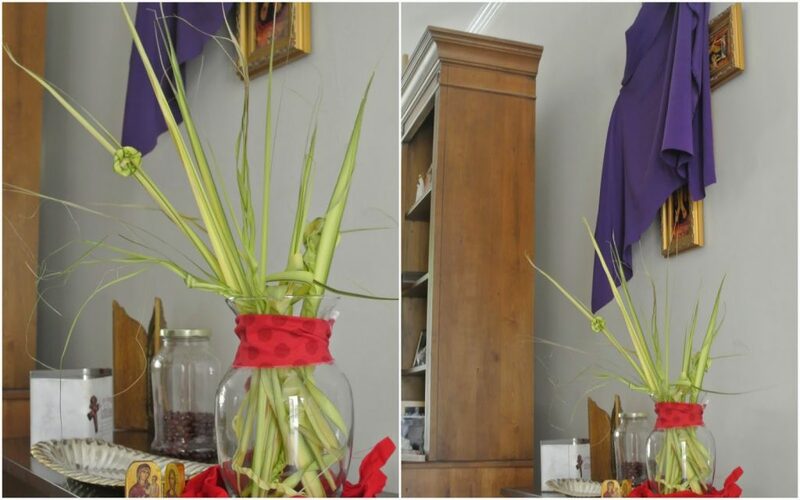 We try to wear red to Mass that day (I think my dress will fit again this year, but not Lulu’s), and when we get home with our palms, I confiscate them so the kids won’t have any (more) sword fights with them, and make a little display on our little altar table. I plan to serve something red, like spaghetti and meatballs, alongside this salad, which is pretty much perfect . 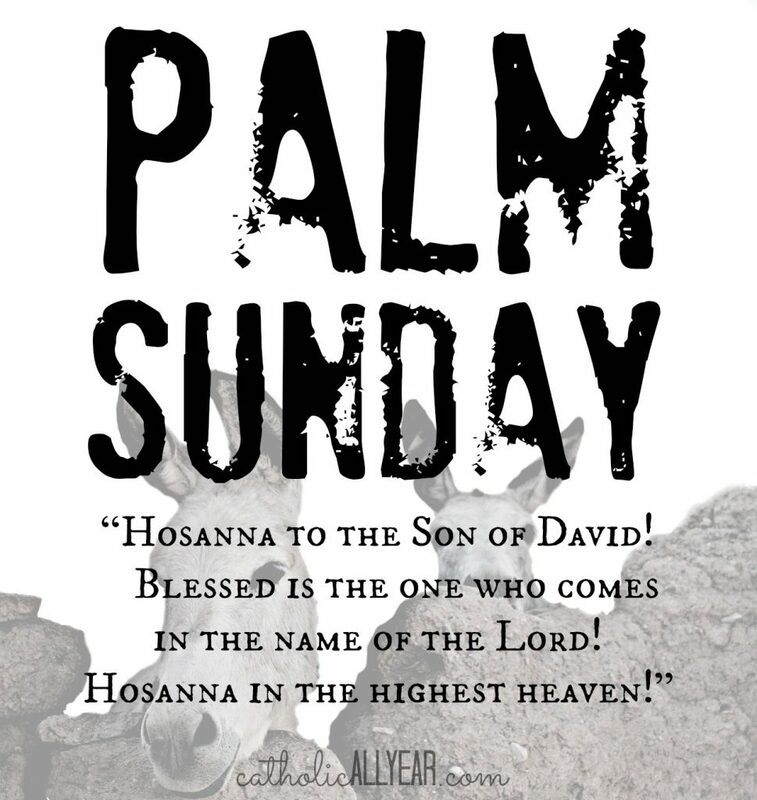 . .
And now, on to Holy Week . . . 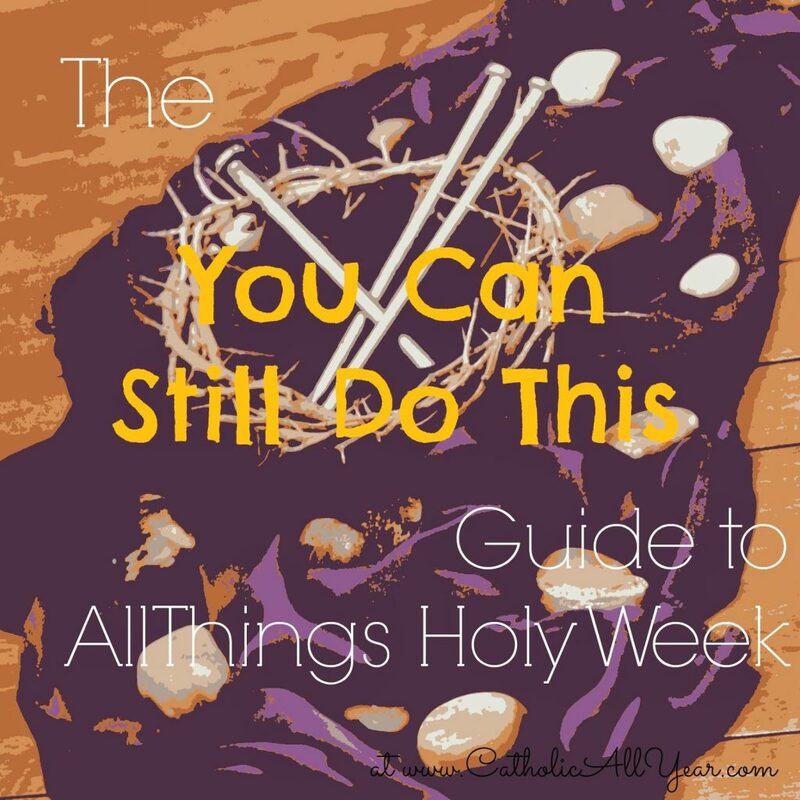 Here is the post I wrote last year detailing what we do each day of Holy Week (click on the title not the image to go to the post). But here’s the cliff’s notes version, with the new images . . .
Our activity for the day is a little social experiment on the kids in which they get to learn about the power of money to turn people against each other. Read all about it here. 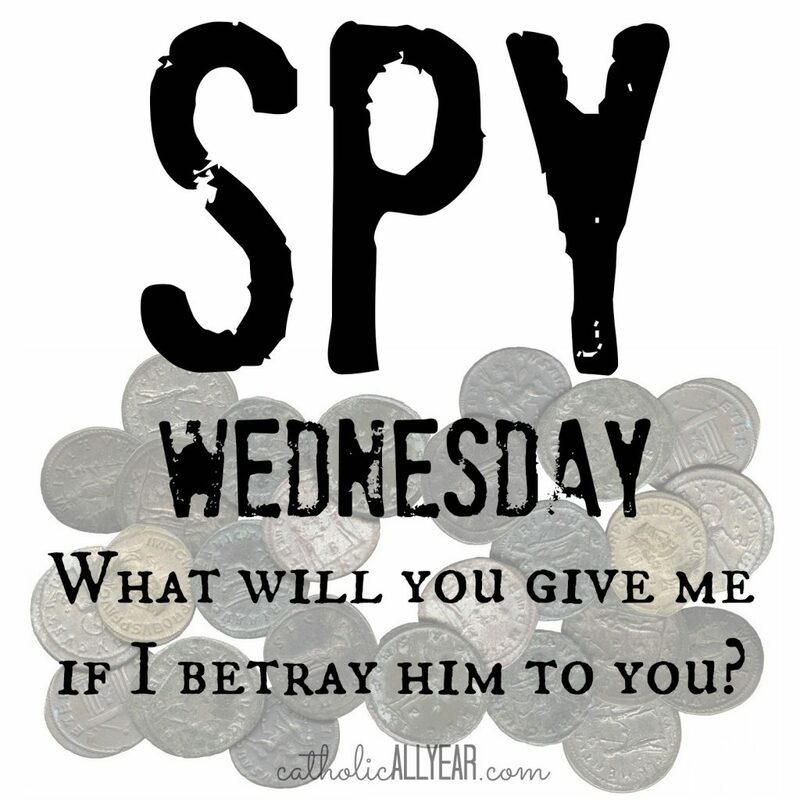 I don’t actually have a usual menu for Spy Wednesday. Leftovers probably, we need to make room in the fridge. Unless anyone has any suggestions? 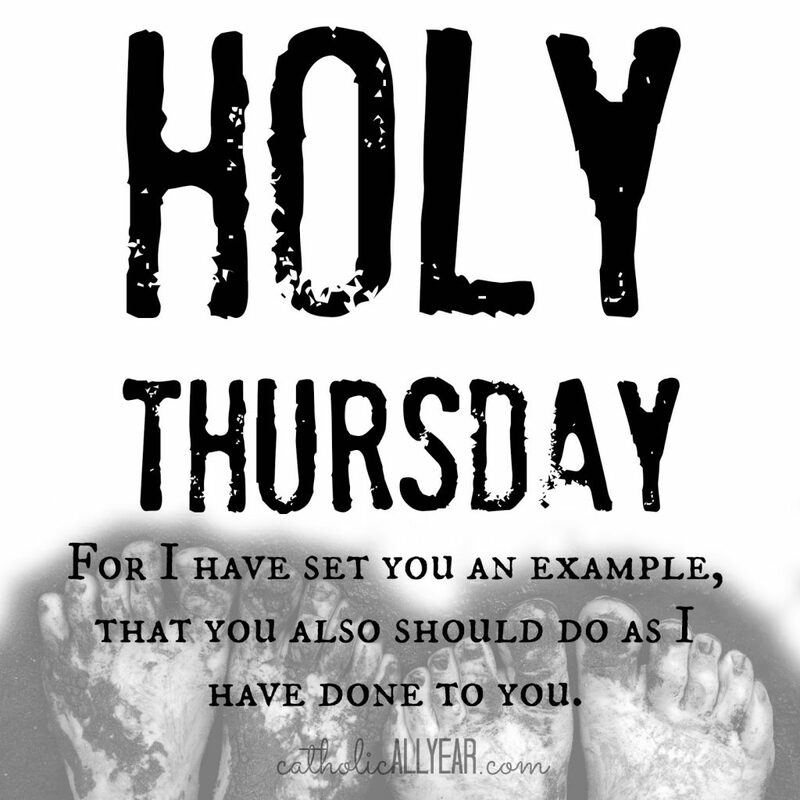 Holy Thursday is another happy/sad day. The institution of the Eucharist and of the priesthood is something to celebrate, but Jesus’ betrayal and arrest is something to lament. So we do both. I like to point out to my kids that Peter betrayed Jesus just as much as Judas did. But Peter repented and asked for forgiveness, while Judas despaired and took his own life. And that makes all the difference. We try to duplicate what Jesus and the twelve would have eaten for dinner that night, without attempting to replicate all the prayers and ceremony that would have gone along with it. I cook lamb chops, and serve them with a bitter herb salad, flatbread, potato knishes, and applesauce. See this post for all the recipes. 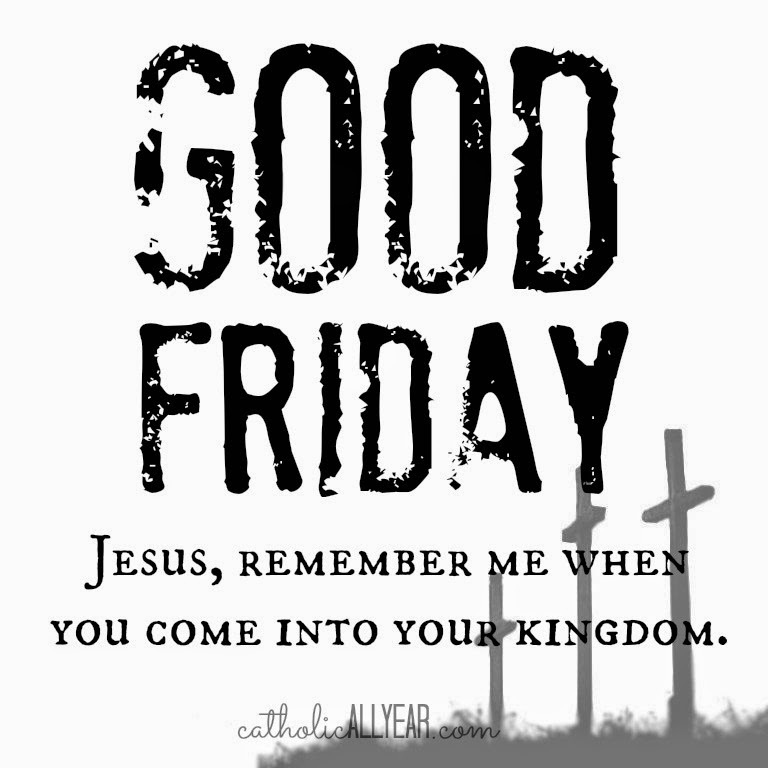 We keep Good Friday quiet and solemn around here, as much as we are able. Which, truth be told isn’t THAT much. But we try. For how we handle talking to little kids about the events of this day, check out . . .
, if it’s your cup of tea. It’s not for everyone, and that’s okay. I can handle it every few years. We have hot cross buns for breakfast (but they’re little, so it counts as half a breakfast) and something light for lunch, then fried catfish, coleslaw, cornbread, and water for dinner. 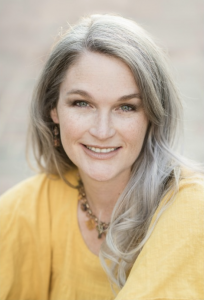 For more details, see this post. Holy Saturday isn’t actually ALL that restful around here. There’s a lot of stuff to do. But we do try to spend the day mindful that this is the day Jesus’ body was in the tomb, and the rest of him was collecting his dad and the rest of the good guys from the Limbo of the Fathers. We put away our Lent decorations, and decorate for Easter. We dye our Easter eggs and do our meal preparation for Easter dinner. We do not attend Easter Egg Hunts or other Easter celebrations on Holy Saturday. 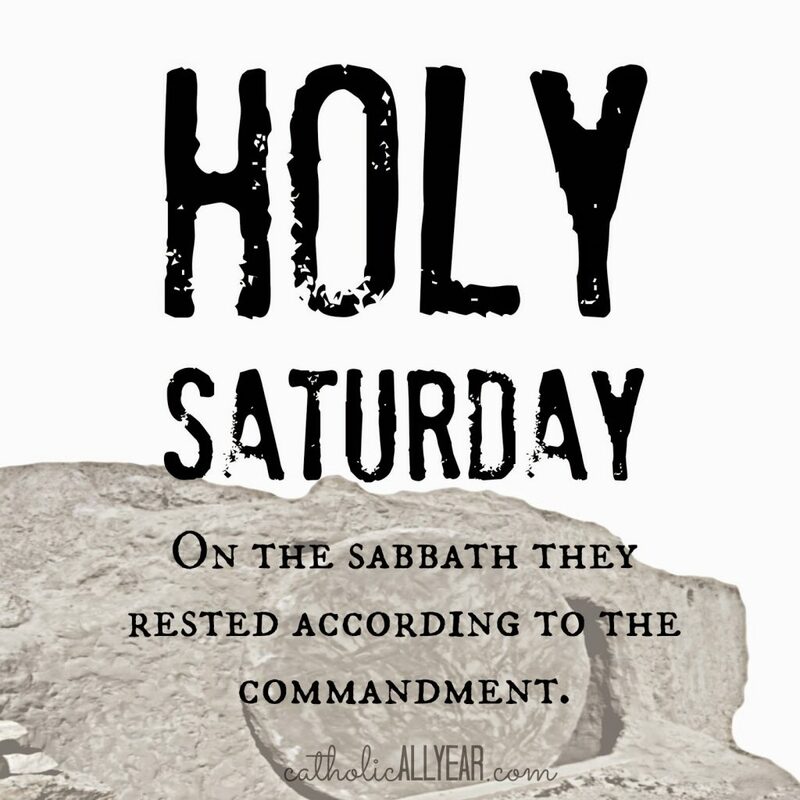 If you have family that starts celebrating on Holy Saturday, you’ll have to make that judgement call for your own selves. We take the big kids to the Vigil. I’ve made these in previous years, but they are kind of labor intensive, and frankly, I don’t really need more work the day before Easter. So, unless the kids remember them and there is a great outcry, probably we’ll skip them this year. Other than that, I just try to use up leftovers. And then . 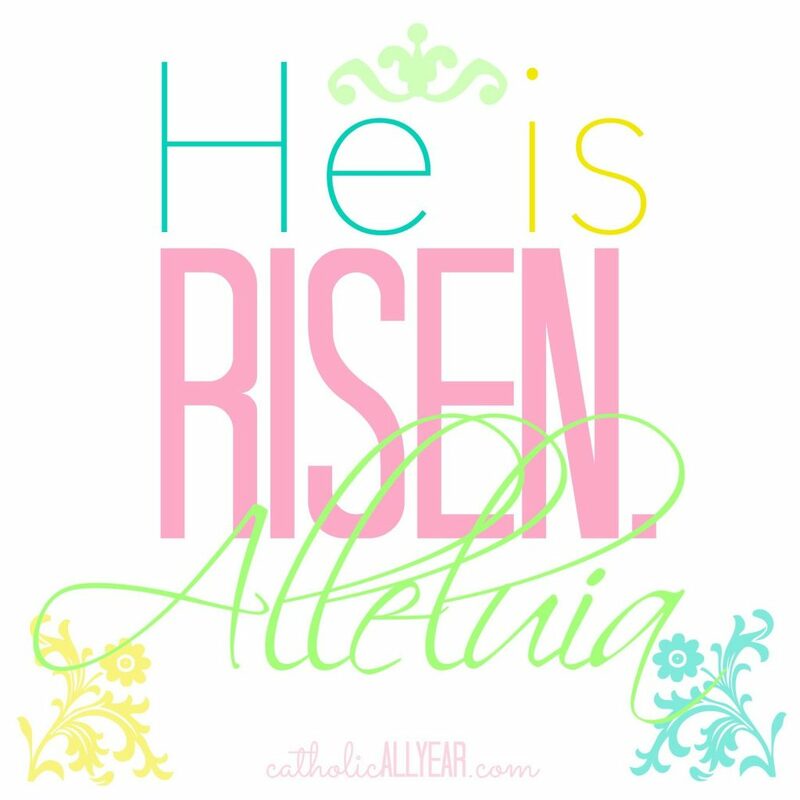 . . it’s Easter! 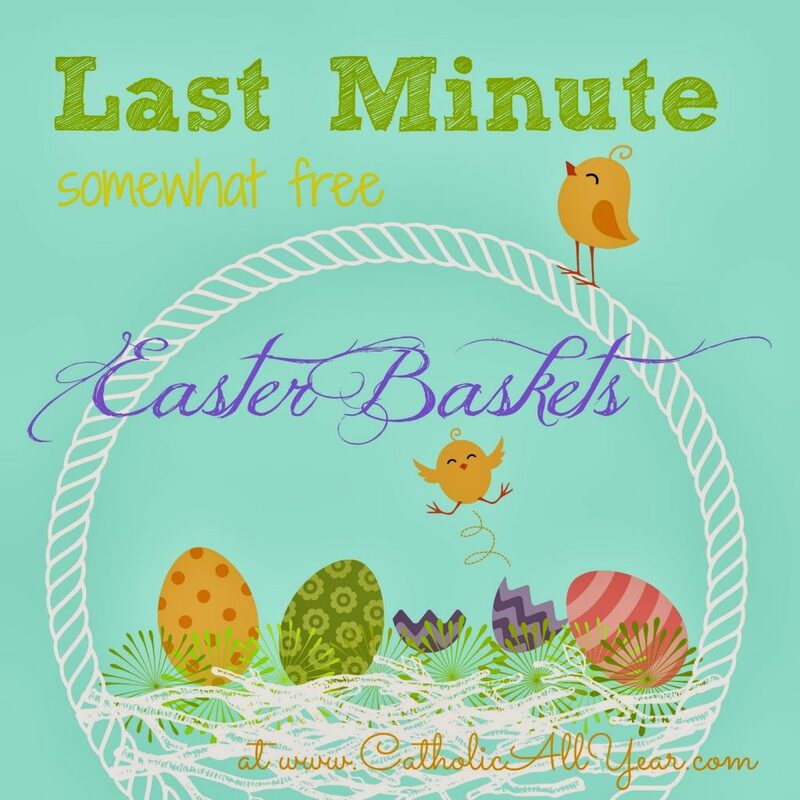 For some Easter basket ideas, check out this post . . .
I’ll still be around the blog between now and then, but I’ll take a moment here to wish you a very fruitful Holy Week, and the most joyful of Easters! Okay, you've totally popped this week! 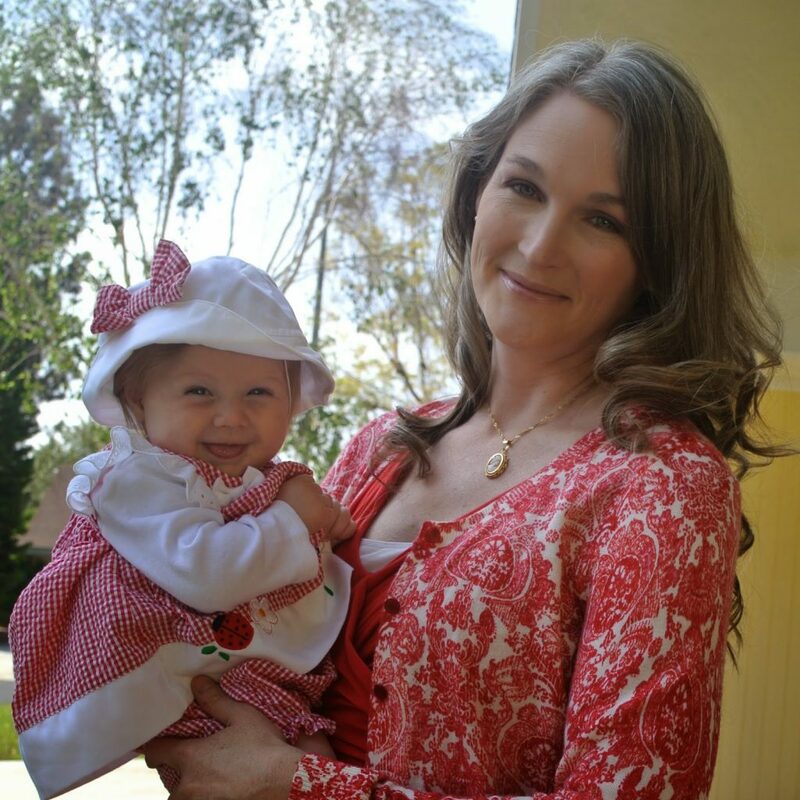 Or maybe it's just the dress 🙂 We did the blessing of the Easter baskets for the first time last year and it was really nice – low-key, the kids loved it, and it was really nice to know that the food for our Easter meal had been blessed! Also, the printable I REALLY want from you is a reminder early enough next year that says, "HEY YOU!!! WITH ALL THE PALMS FROM THE PAST SEVEN PALM SUNDAYS IN A PLASTIC BAG ON YOUR BOOKSHELF! TAKE THEM TO CHURCH TO BE BURNED NOW!!!" Not that I have seven years worth of palms that we never remember to take back to church… Nope. Not us. Six years worth of palms and I FINALLY remembered to return them to church this year! I need the suggested printable. I TOTALLY need to do this! We always just end up burning them ourselves in the backyard on Ash Wednesday. I don't think I've ever remembered to bring them back to church. This year, my parents and grandparents will be here all Holy Week. They're Catholic, but not very liturgical and I haven't told my mom we're not hiding eggs until Sunday. Even though she'll be gone by then. But it's not going to be solemn around here at all, so we gotta save something! You are very brave boys to sit through Cinderella and some day in he future you will like the kissing part but not now. I took you and your sister Kara with some friends to see Snow White when Kara was about 1 1/2. She lost interest quickly and crawled around on the floor picking gum off of the bottom of the seats…..ugg how gross is that? The other little girl at 2 got scared and wet her pants in her mother's lap. I think we left early and did some major scrubbing in the restroom. Not a big success. What size would you recommend having these printables printed? They are big files, they should print well up to poster-sized.